Yep, you read that correctly. 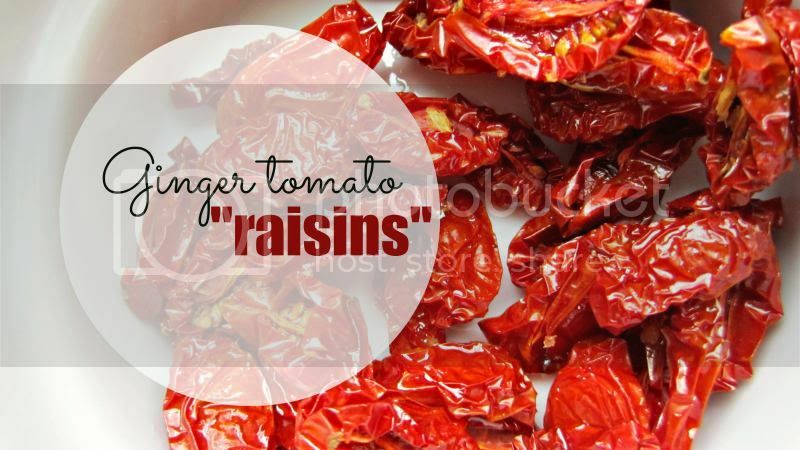 Tomato raisins. Look like bugs, but taste fantastic! I've been on a huge ginger kick lately. Somehow, it's delicious in EVERYTHING! Ginger is the new bacon. Or not. At all. But sheesh I love this stuff. 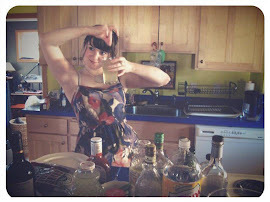 I was inspired by this recipe, total genius! This takes quite a bit of patience, but so worth it on a rainy, stay indoors weekend. Preheat the oven to 250 degrees. 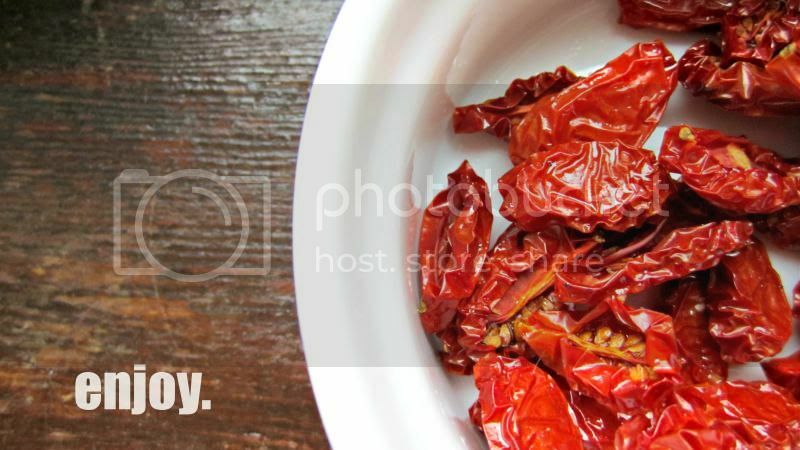 Cut a pint of cherry tomatoes in half and put in a bowl. Stir in 2 teaspoons minced fresh ginger and a tablespoon of sugar. Spread evenly on a cookie sheet, cut sides up. Cook in the oven for about 3 hours, or until the tomatoes are dried out and chewy. I had the intention of adding these to a salad, but they were gone before I could! It really shrivels down to only about a small ramekin full. Anyone got any more gingery recipes for me? 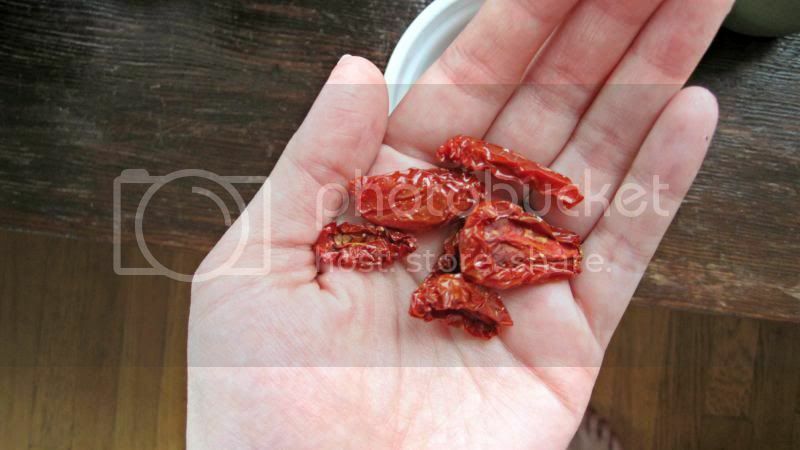 I've dried tomatoes like this before (delicious!) but never with ginger. Confession: I'm a ginger addict too. I love to add it to black tea or to my morning smoothie together with blueberries and yoghurt. Yummy!